1. 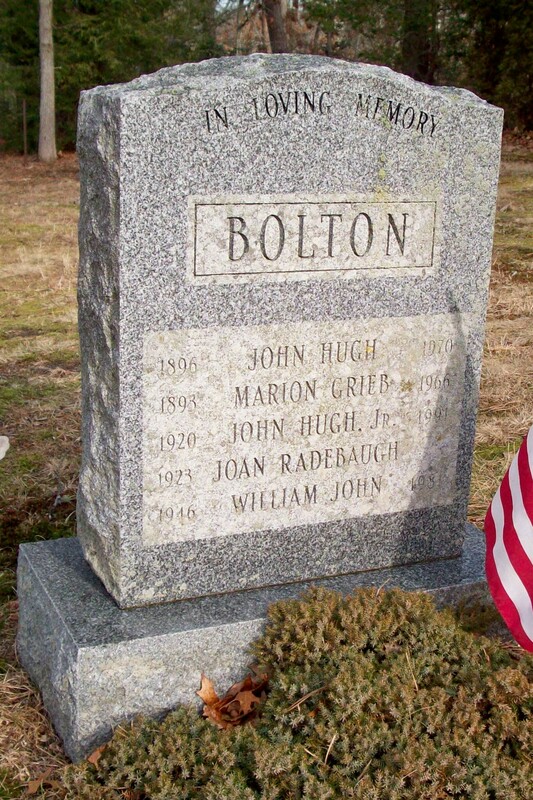 John Hugh Bolton, Jr.; (November 30, 1920 – July 17, 1991); Married Joan Radebaugh (1923 – ? 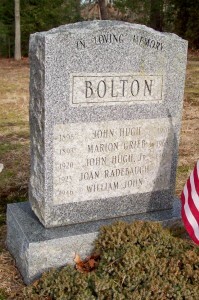 ); John, Jr. is buried in Cataumet Cemetery.